After a frost early in the season which saw some of our Chardonnay shoots get burned, the 2014 Vintage panned out quite well for both our white and red wines. Spring saw average weather conditions followed by a hot, dry spell during late summer. With careful canopy management of the vines and timely watering during a particularly hot period in late January, we kept the vines stress free and in excellent condition. The resulting grapes showed the intensity of flavor that this region is famous for. The grapes were picked over two weekends to add depth and complexity to the wine. The first pick adds grapefruit and tight mineral structure to the wine while the riper second pick added weight and intensity. Both components complement the style. This wine was made using traditional Burgundian techniques. The grapes were destemmed and gently pressed. Wild fermentation occurred with the vineyard’s indigenous yeast in French oak barriques and hogsheads. The barrels used were 31% new and a mixture of older oak. Careful winemaking added subtle nuances whilst maintaining the tight structure and preserving the unique vineyard characters of the wine. There was no malolactic fermentation and limited barrel stirring. 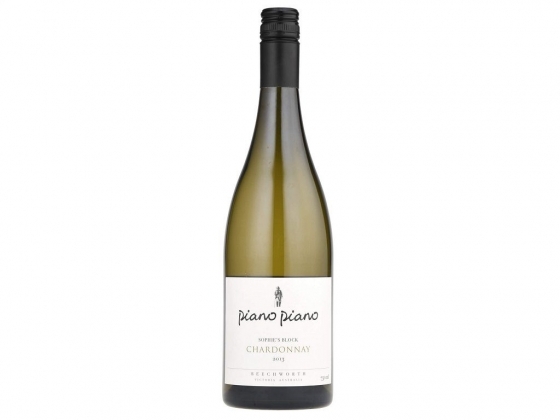 This elegant Chardonnay has attractive dried herbs, cashew, some tight grapefruit, minerals and a fine integrated oak. The palate is lively and complex finishing with a fantastic length highlighting the pedigree of this wine.